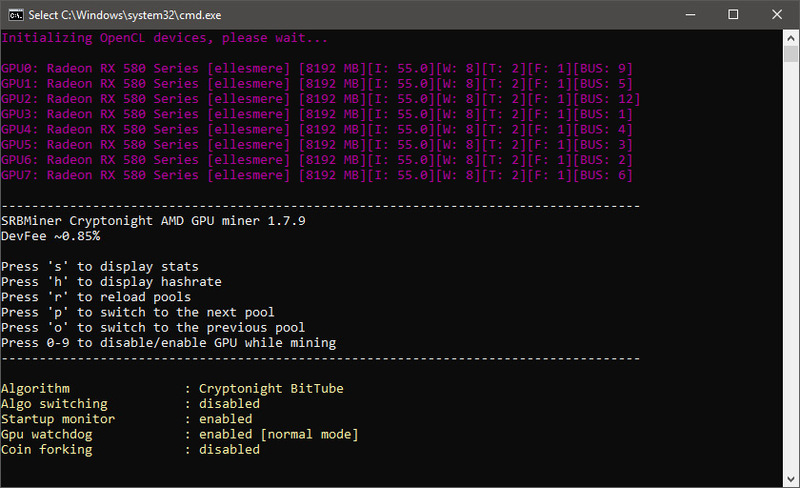 The latest version 1.8.4 of the CryptoNight AMD GPU miner SRBMiner brings significant performance boost for all of AMD’s HBM memory based GPUs, namely the Radeon Vega56, Vega 64, Vega FE and the latest Radeon VII with HBM2 video memory. 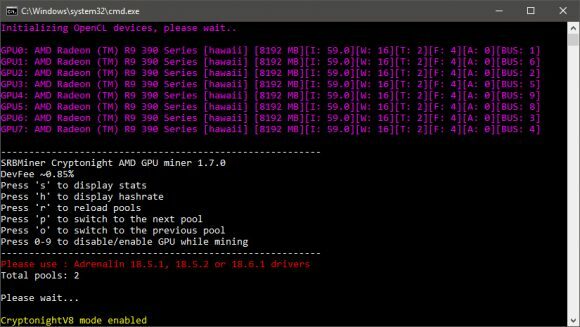 The performance boost for these video cards can be up to about 15%, so definitely worth upgrading any mining rigs with the newly released miner for the extra hashrate you will be getting… and that apparently goes for all of the supported algorithms! To take advantage of the extra performance boost you need to play around with the new parameter tweak_profile checking the level of tweak profile that your GPUs can handle and applying it. Apparently the improvement is based on memory timings modification thanks to the work of Eliovp and his useful AMD Memory Tweak Tool. You can find the full changelog for the latest release quoted below. Do note that the developer fee is ~0.85% for both normal mode and algorithm switching mode as SRBMiner is a closed source miner available for AMD GPU miners only under Windows. – Performance increase for Vega56/64/Fe/Vii up to 15%! 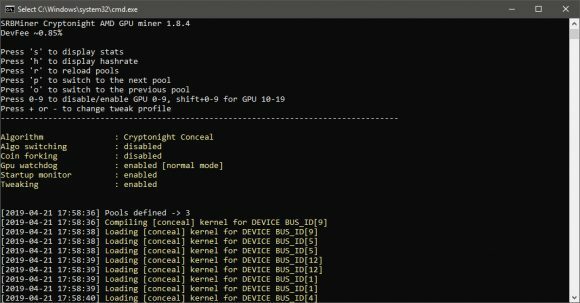 The latest update to the CryptoNight AMD GPU miner SRBMiner to version 1.7.9 brings support for the new POW algorithm that Monero (XMR) will be switching to in less than two weeks from now. Cryptonight variant 4 (CNv4) also know as CryptonightR will be the new mining algorithm after the upcoming Monero hard fork planned for block number 1788000 that is expected sometime on March 9th. 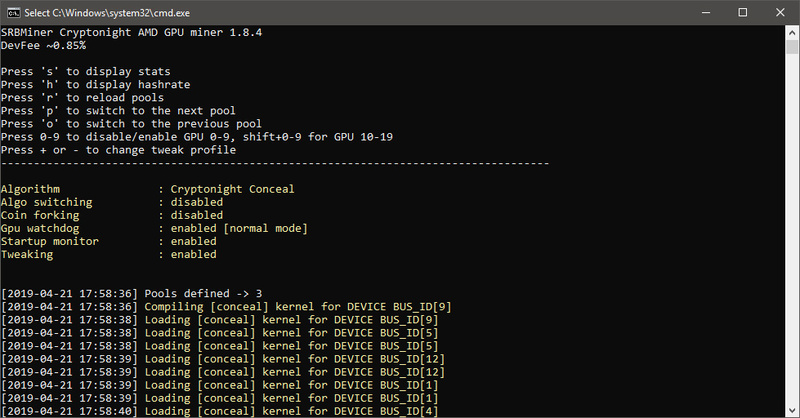 SRBMiner 1.7.9 is the first AMD miner to support the new CryptonightR algorithm, though others will probably soon follow as the time for the fork approaches. Apart from the CryptonightR support the latest version brings support for a few other algorithms, some new features as well as bug fixes as one would expect. You can find the full changelow below. 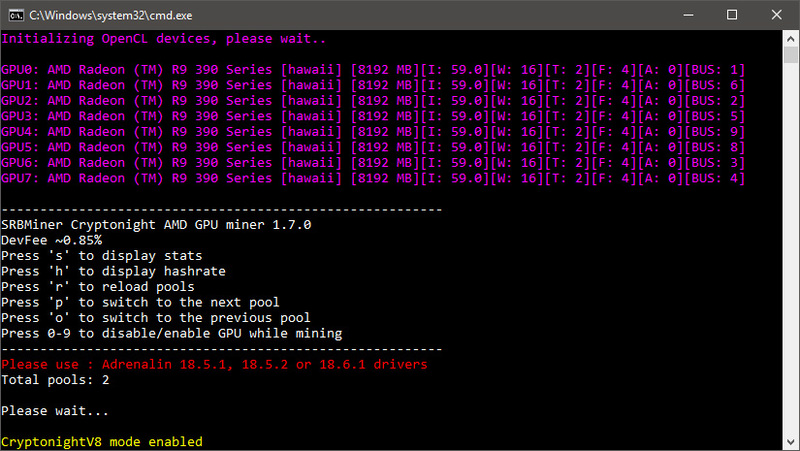 Do note that the developer fee is ~0.85% for both normal mode and algorithm switching mode as SRBMiner is a closed source miner available for AMD GPU miners only under Windows. 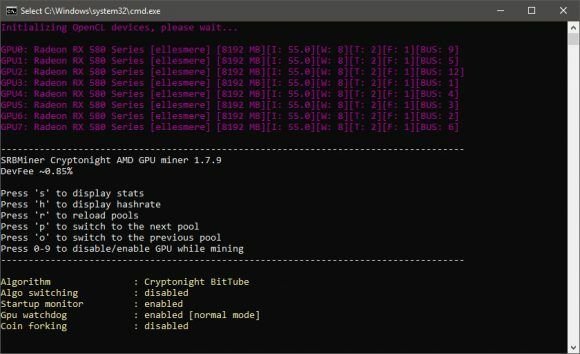 The latest update to the CryptoNight AMD GPU miner SRBMiner to version 1.7.0 brings improved hashrate in a number of the supported mining algorithms of up to about 10% depending on your GPU (most gains on VEGA) for the BitTube, Haven, Heavy and Italo algorithms as well as some small speed increase on CryptoNight V8 for VEGA GPUs. It also comes with support for a new mining algorithms – CN-Dark [CryoNote] and CN-Fest [Festival coin]. Do note that the developer fee is now ~0.85% for both normal mode and algorithm switching mode in the new version. There are also a number of other fixes and improvements, you can find the full changelog for the latest update below.